Trump threatened Iran in all capital letters. WHY? 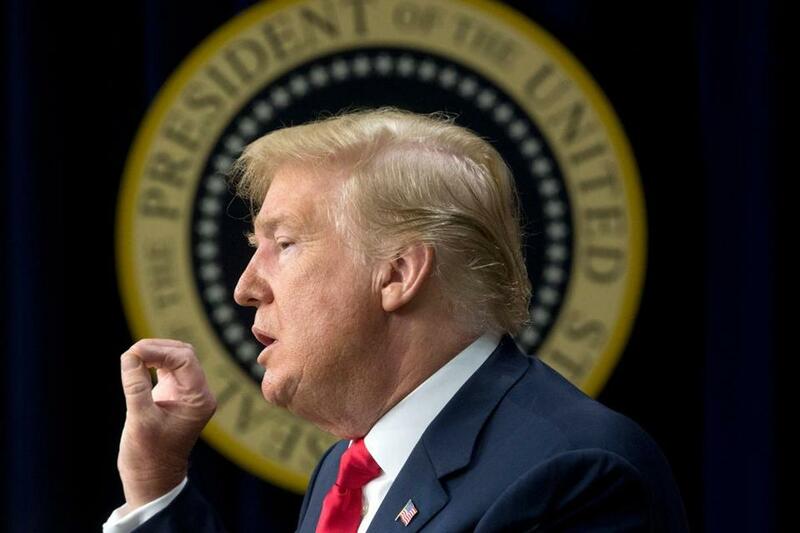 President Trump is no stranger to using capitalized words and phrases in his tweets, but when he threatened Iranian President Hassan Rouhani on Twitter on Sunday, he took an even stronger approach. The threat, which tells Rouhani if he threatens the United States, he will “suffer consequences the likes of which few throughout history have ever suffered before,” was written entirely in capital letters. And according to some experts on digital communication, that capitalization was far from an accident. “I think that he is definitely viewing this as, ‘This is emphasis. You are going to have to slow down and read this. You are going to have to pay attention to this,’” said Cynthia Baron, the academic director of digital media programs in Northeastern University’s College of Professional Studies. 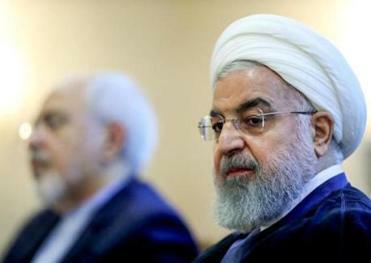 President Trump warned of unspecified “consequences” if Iranian President Hassan Rouhani again threatened the US. “Trump’s tweet is definitely a stronger and more volatile message because of his use of all caps,” Groshek wrote in an e-mail. All things considered, the capitalization that was likely intentional in Trump’s tweet could still be accidental for some other social media users. Older people who first learned to type on typewriters without font options “just never realize that the use of capital letters is perceived by most recipients as shouting,” Baron said. For all of you who have spent hours trying to understand your grandparents’ or parents’ half-capitalized text messages, this won’t come as a surprise. Twitter, like an old-fashioned typewriter, doesn’t have font options for emphasis, which in some cases, could be the reason behind sporadic capitalization. But Baron said that’s unlikely the case for Trump, whose own pattern of capitalized words seems indicative of purposeful emphasis. “This is not necessarily to excuse Trump. Trump does type many of his texts in upper and lower case,” Baron said, adding that Trump’s use of capitalized words make his tweets sound carefully composed. “You have a feeling that the person who is sitting there and writing it is thinking about what they’re writing, and they’re thinking about what they’re trying to say really carefully,” she said. The question lies in whether Trump considered any of these factors before he pressed the “send” button on his Twitter account. Did he re-read his message in a shouting voice? Did he re-read it in a slow fashion? Did he re-read it at all? “Trying to psychoanalyze Trump from a distance is a dangerous thing to do,” Baron said, adding that a person’s political bias often contributes to a person’s interpretation of Trump’s tweets.